The Communications Committee manages NYCCAL’s website, listserv, Twitter, Facebook and Flickr accounts. Committee members help facilitate communication with members, potential members, allies and press. The communication committee members regularly solicit content updates from the other committees and from members to keep the website, Facebook and twitter accounts up-to-date. (This committee is not solely responsible for creating content – that is a shared responsibility of all active NYCCAL members.) The committee handles the creation of other outreach materials such as postcards and outreach letters & is responsible for archiving NYCCAL materials as well. COMMUNICATIONS COMMITTEE (meets monthly): Please contact Elaine Roberts at elaine.roberts@archny.org for more information. The NYCCAL Advocacy Committee consists of volunteer members interested in advancing the policy priorities of the coalition. Working in partnership with the Policy Committee, the Advocacy Committee is responsible for developing and implementing an advocacy strategy benefiting the broader membership. 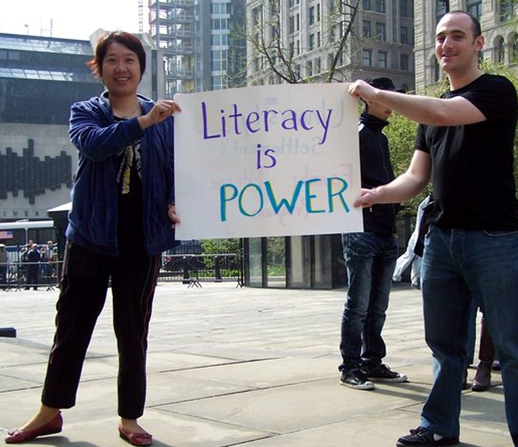 Activities are typically focused on State and City level Adult Literacy related funding and policy and include: meeting with public officials and administrators, authoring and/or signing onto advocacy documents, and organizing larger scale events such as rallies. When developed the by Policy Committee, the Advocacy Committee also furthers broader policy priorities including GED system reform. The Advocacy Committee meets twice a month on average via conference call and new participants are always welcome. ADVOCACY COMMITTEE (meets weekly): Please contact Kevin Douglas at kdouglas@unhny.org for more information. 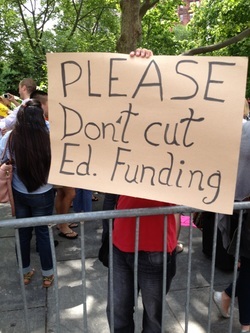 The NYCCAL policy committee’s mission is to investigate local, state and federal policies and topics of interest to the New York City adult education community in order to make recommendations to the general membership. In the past, it has worked on such topics as NYCCAL’s Statement of Principles, National Reporting System (NRS) recommendations, and WIOA State Plan responses and re-authorization tracking. It also focuses on responding to the challenges of transitioning to the TASC exam, high school equivalency alternatives and recommendations for updating the NYSED adult education report cards. Additionally, it seeks to identify the recommendations of other allies in the adult education field (CLASP, National Council of State Directors of Adult Education, MPI, ProLiteracy, etc.) for adoption by NYCCAL. This group meets monthly, please contact Bruce Carmel at bcarmel@workforceprofessionals.org for more information.